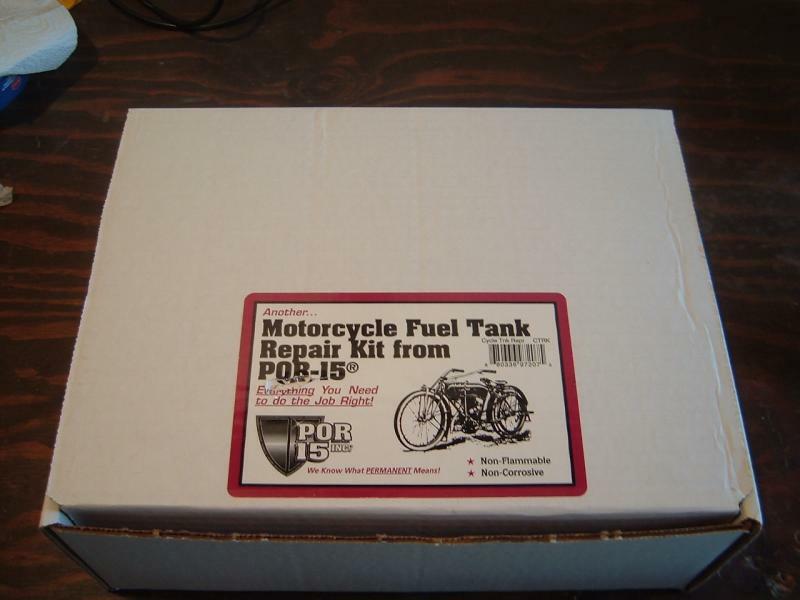 POR-15 by POR 15 Inc. is a line of products designed primarily as a protection against rust. 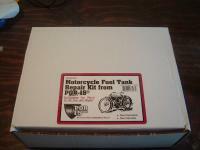 One of the products of interest to those of us with a rusty fuel tank is their Cycle Tank Repair Kit. 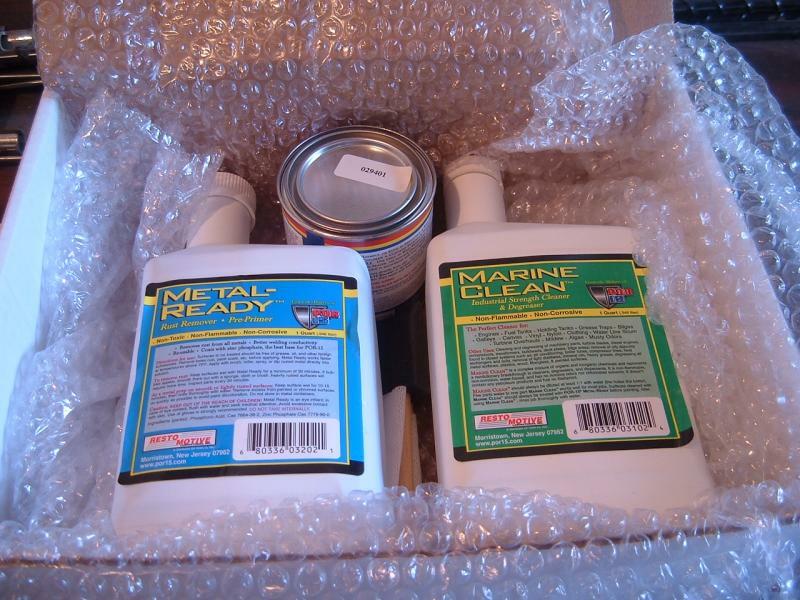 Reasonably priced, compared to a new tank, the kit includes three products--Marine Clean, Metal Ready, and U.S. Standard Tank Sealer. 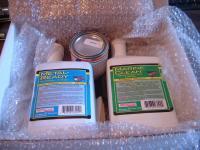 They also have a Heavy Duty Cycle Kit which includes POR-Strip to remove an earlier sealer application that has failed. Why POR-15, you might ask? Well, I knew of Kreem which has been on the market for at least twenty years. I've also heard stories of failure of the Kreem sealant layer. Perhaps these were related to improper preparation of the tank, but POR-15 does seem to be highly recommended outside of the company's sales literature. I wanted to save the original paint if at all possible. So I quickly dismissed steam cleaning that leaves a tank that must be repainted. I also dismissed a service that claimed to repair the tank while not harming the paint at a price of about half of what I paid for the bike! For about $35 delivered, the POR-15 kit seemed like a good choice for a do-it-yourselfer like me. Sadly, the instruction sheet is a bit vague in a few places and it seems like the instructions on the Tank Sealer can were more explicit, but nowhere does it say which is definitive although the sealer can seems to be. So, the purpose of this set of pages is to help others along in the POR-15 process by sharing my experiences.